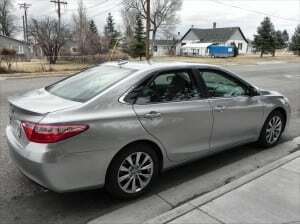 After a week in the 2015 Toyota Camry XLE, we were impressed by its improvements over the lackluster previous generation. The best-selling midsize car on the market just got a lot better and is now far more likable than it has ever been. 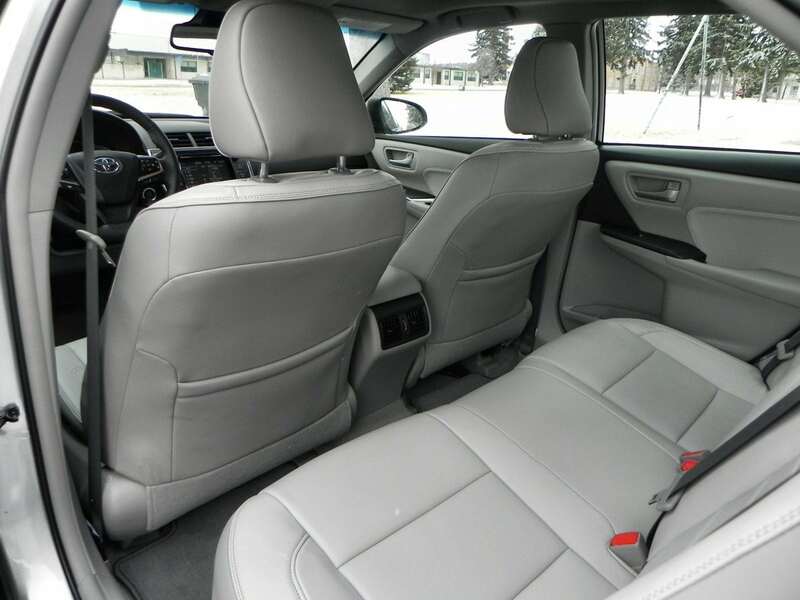 The 2015 Camry has been completely changed inside and out with only the powertrains and roof carrying over from the previous generation. 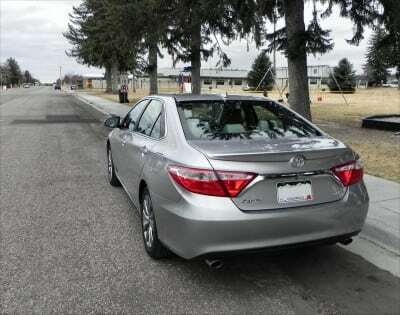 When we first saw the all-new 2015 Toyota Camry at a Toyota-hosted event in Denver, we were impressed. A week in the 2015 Camry Hybrid furthered our good impression and now that we’ve spent a week in the gasoline version, it’s clear that the 2015 Camry is dumping the old “boring Camry” cliche. 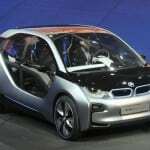 Two major improvements are to exterior styling and on-road dynamics. 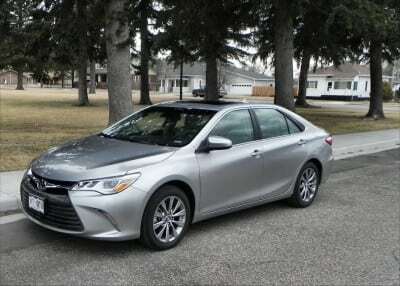 With the former, Toyota saw fit to finally bring the Camry up-to-date and make it a little edgier and more premium in visual appeal than it’s been before. Gone are the flat surfaces and boring stamped metal that made up the sleep-inducing curb appeal of the previous generation, replaced with dynamic character lines and a wider, more confident stance. With the latter, that wider stance and some improvements to the car’s chassis tuning mean a more engaging drive on roads and highways. 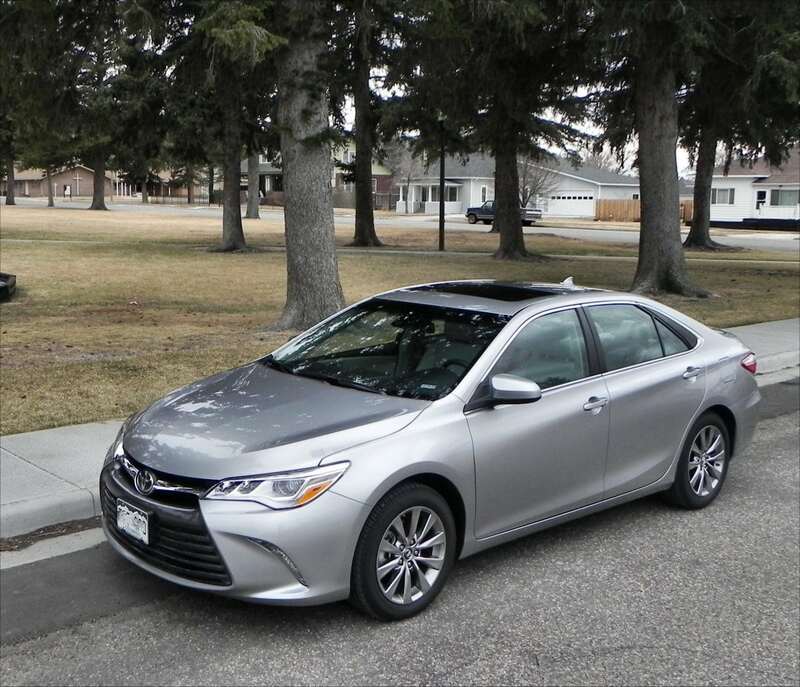 Even at the lower trims (check out the XSE trim review here), handling and drive dynamics are markedly better for the 2015 Camry. 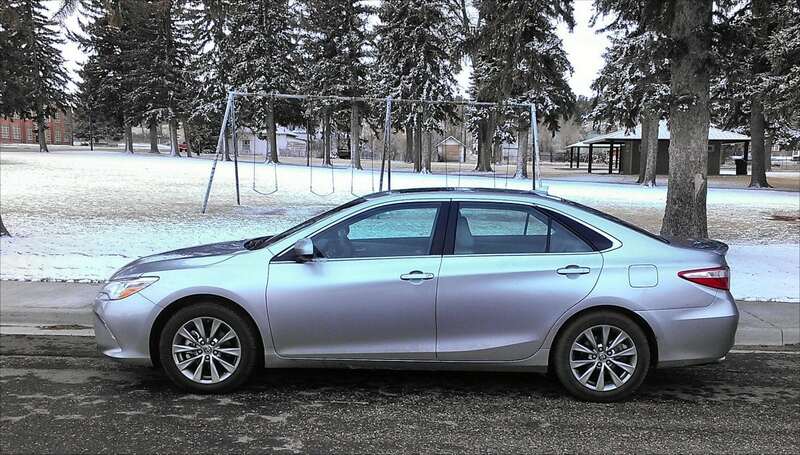 Headlining the changes to the Camry is its new exterior look. 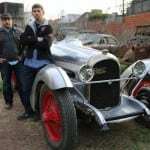 The basic shape of the car is unchanged, but details completely alter the overall tone of the car. 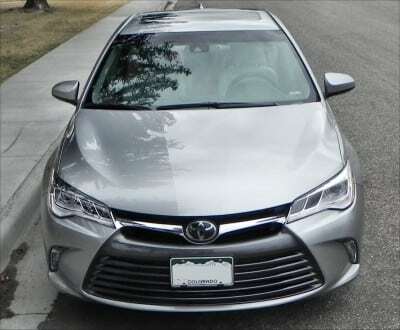 A bigger grille that is more prominent and stylistically in line with the Camry’s big brother, the Avalon, starts it all. It has an hourglass shape similar to that prominently showcased on the Lexus lineup. The hood flows upward at a more aggressive angle with twin character lines up the center flanked by bulge lines along either edge to accentuate the front fenders. Slitted headlights and slashed foglamp openings complete the appeal, giving a more aggressive, sports car look without going over the top. Along the sides, a prominent line follows along from the front fender to the rear quarter to end atop the taillamps. This line is lifted somewhat from the previous generation, sitting slightly higher towards the belt line, and cutting through the door handles and across the top of the fuel port in a more premium appearance than it had before. It’s accentuated by a rounded cut along the bottom of the doors and a slightly curved underbody line. 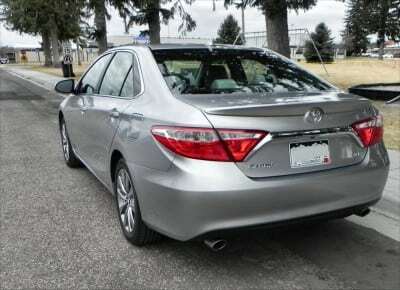 Finally, the rear of the car is more refined and less the afterthought it was before. The lines from the bodywork come together and make for a narrower look with integrated lighting and spoilers. 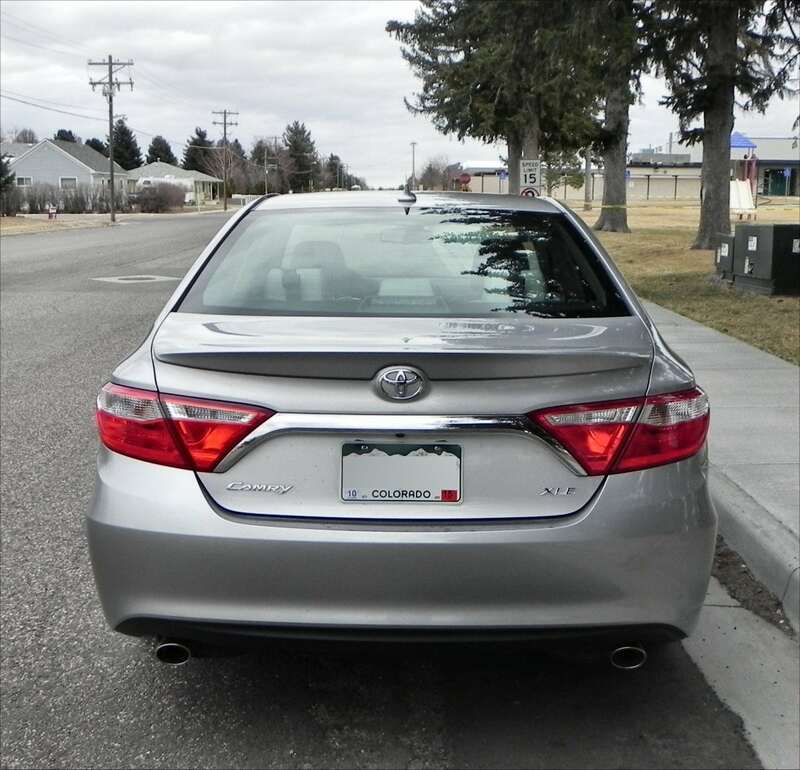 This more sophisticated rear end adds sport to the car’s overall appearance. 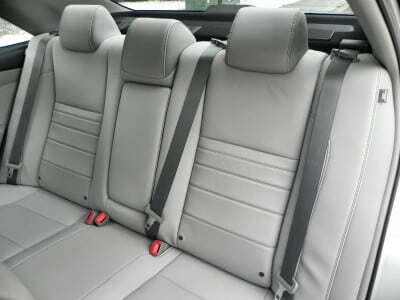 The interior of the previous Camry was already one of its high points with the only downer being some sub-par plastics. 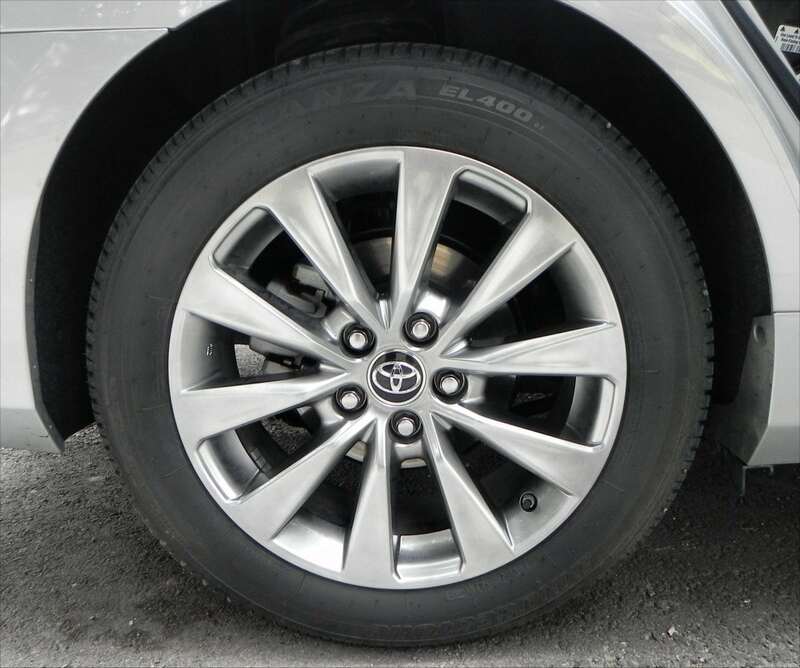 Those have been eliminated and the new 2015 Camry features a much more upscale appeal with quality throughout. The spaciousness that marked the old Camry is still there as well, with plenty of room in all seating positions. 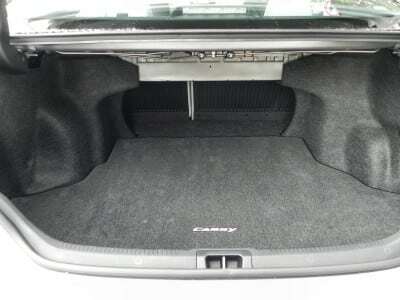 The trunk is about average for the segment as a “2-body Jersey size” with space for a short-handled shovel. 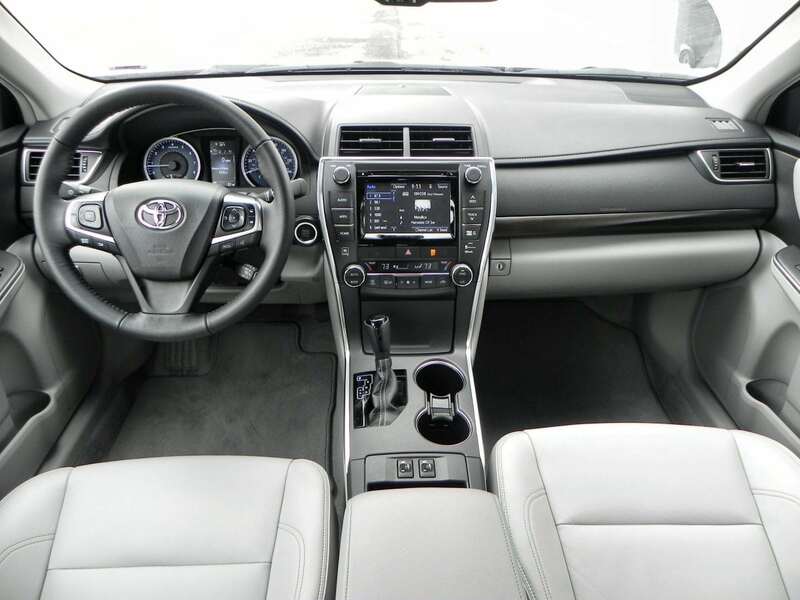 The new driver’s cockpit area is much-improved in the 2015 Camry, though, with a better set of buttons and switches. These are a bit larger and much more ergonomic than before, being placed in better positions and ready for use by even the clumsiest of gloved hands. The Entune system has also seen some improvement as Toyota slowly evolves their infotainment towards user-friendliness. 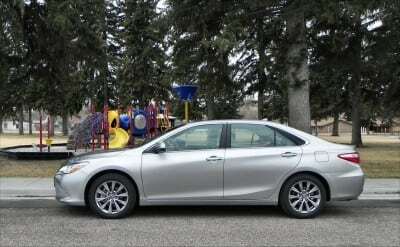 Aside from the Hybrid variant, which we reviewed here, the gasoline options for the 2015 Camry include two engines, both mated to a six-speed automatic transmission in front-wheel drive. The four-cylinder base engine is the tried-and-true 2.5-liter producing 178 horsepower and 170 lb-ft of torque. Fuel economy with that setup is only average at 25/35 city/highway for an EPA estimated 28 mpg combined. The V6 is where it’s at for us, though. Our XLE was equipped with the well-vetted 3.5-liter six-cylinder which produces 268 horses and 248 pound-feet. Zero to sixty is just over six seconds in this surprising combination while fuel economy remains good at 25 mpg combined (21/31 city/highway). 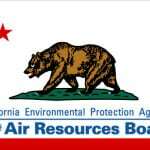 We saw real-world MPG at around 28 in our highway-heavy driving. 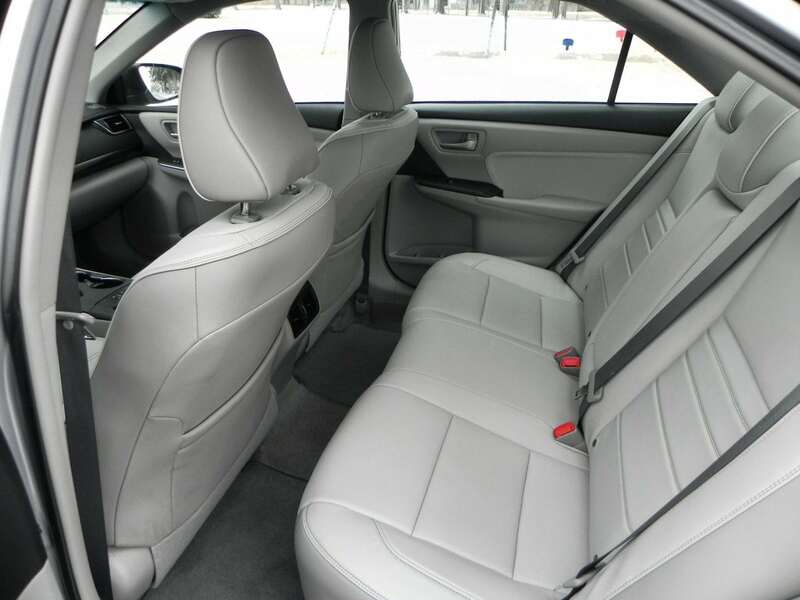 On the road in the 2015 Camry XLE, we found that the car is much more driver-friendly while remaining comfortable for passengers. 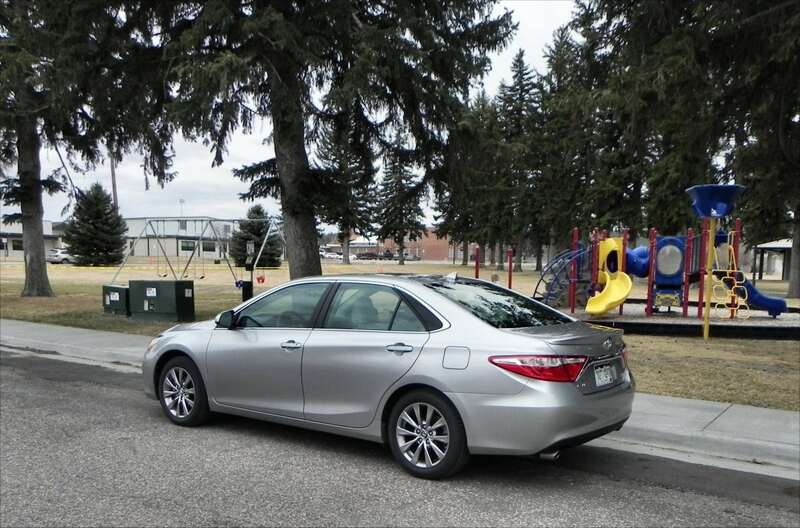 We drove on highways, freeways, and around town with a mix of driver-only, driver and passengers, and with child safety seats installed. The car is still the versatile midsize sedan we remember and aside from the relatively tight squeeze all cars of this genre have when installing child safety seats, things are very pleasant in the new Camry. Driving dynamics are much more fun now, though, with more feedback from the road, a better feel around corners and off the line, and just more engagement all around. In the V6, as we had it, the Camry is a pretty good goer too. 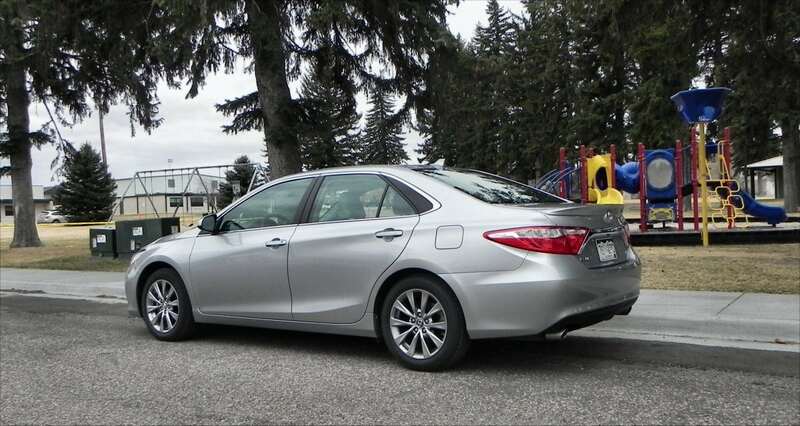 No one would call it a “sports sedan,” of course, but it is peppy and ready for action. The midsize segment is extremely competitive today. One of our favorites was the 2015 Chrysler 200, which is definitely worth a look. 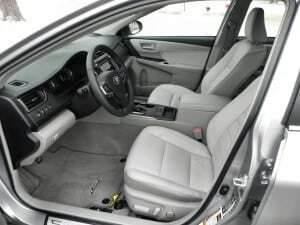 The Subaru Legacy is greatly improved for 2015 as well. 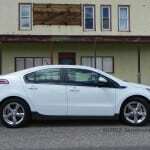 The Mazda6 is a good choice and the Ford Fusion is still beautiful. It’s tough to find a bad entry in the midsize segment nowadays. 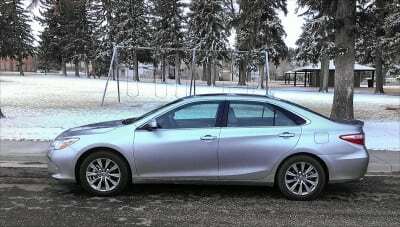 Great new styling making the Camry more contemporary with the segment. Much better handling and drive dyanmics. Still just about average in the segment, though the improvements do move it from being the boredom-inducer it was before. 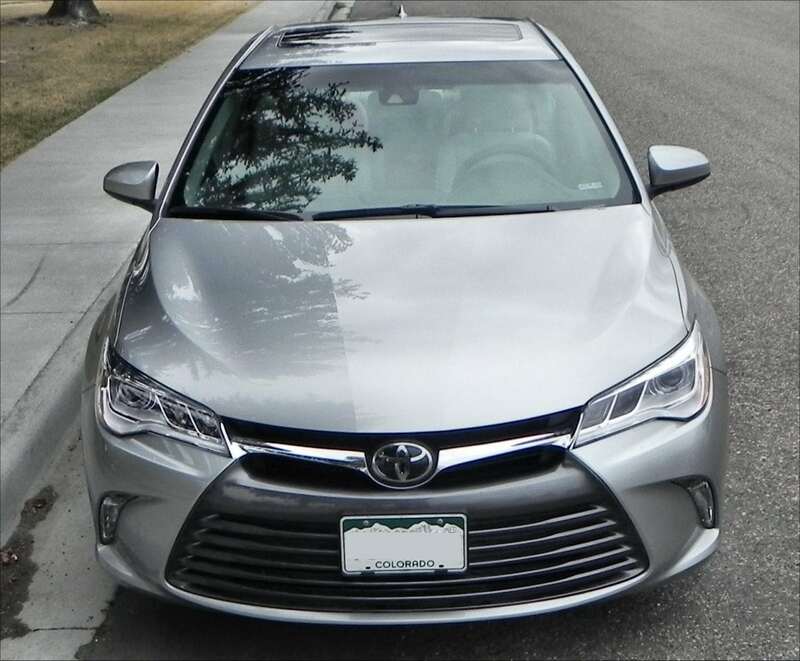 Toyota really needed some changes for the 2015 Camry and brought them quickly. 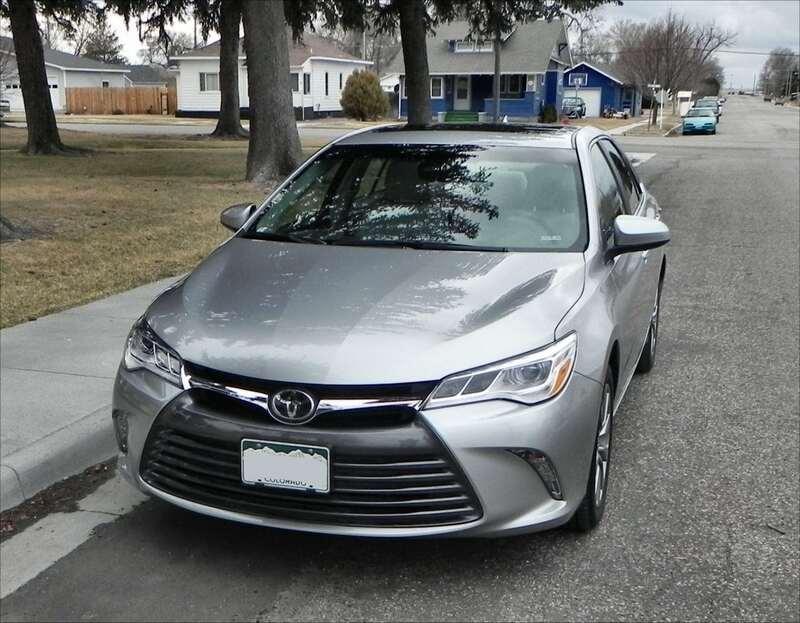 The car was beginning to lag behind the competition and lose share and Toyota’s engineers and designers were quick to bring a new model to market, barely three years after it was already thoroughly redesigned, and to do so with high marks. The 2015 Toyota Camry is definitely as advertised: bold and new. 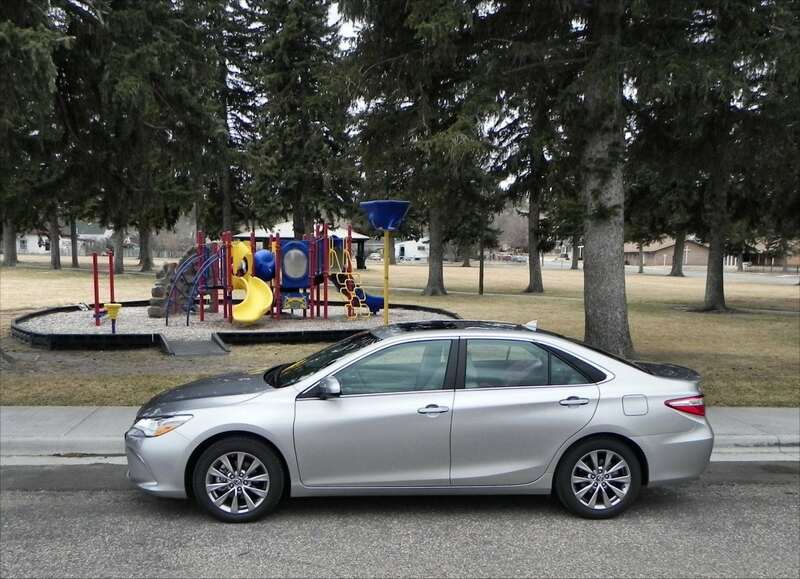 The 2015 Camry was a manufacturer’s press loan given for about a week. During that time, a total of 171 miles were driven in the car in a mixture of in-town, highway, and freeway driving with various passenger loads.